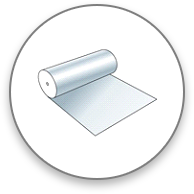 Produce bags-on-roll can be torn off from a rolll and are a convenient dispensing alternative. These are used as in grocery retail stores. 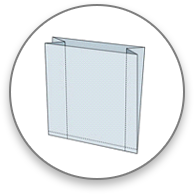 PP Flat bags are clear and transparent – ideal for displaying the product packed in them. These are commonly used by retail stores for packing groceries like flour, lentils, salt, sugar, spices, snacks etc. These are made of polypropylene. PP Re-sealable Flat bags have an adhesive closure feature that allow the bag to be sealed at the top.